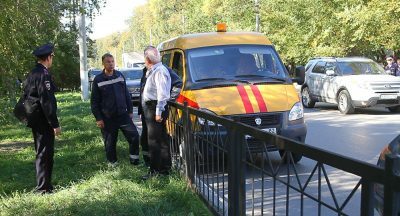 On Wednesday afternoon, detonation of an unidentified explosive device filled with metal fragments, along with indiscriminate live fire by masked gunmen armed with assault rifles at Crimea’s Kerch Polytechnic College reportedly killed at least 20 people, dozens of others injured, at least 16 in serious condition. According to Crimea’s government,15 students were killed, including the attacker, six of them minors, and five adults. The blast reportedly happened on the targeted building’s ground floor, shootings on the second floor. How multiple gunmen with assault rifles weren’t spotted right away before opening fire wasn’t explained so far. The identity of other gunmen involved are unknown so far. Vladimir Putin ordered Russia’s Federal Security Service and other agencies to fully investigate what happened and determine responsible parties. According to Crimean Prime Minister Sergey Aksyonov, the identified gunman “acted alone,” adding “there is no other data.” His account conflicts with eyewitness saying multiple masked gunmen were involved. Following the incident, Kerch and Crimea are on high alert, wary of further incidents. 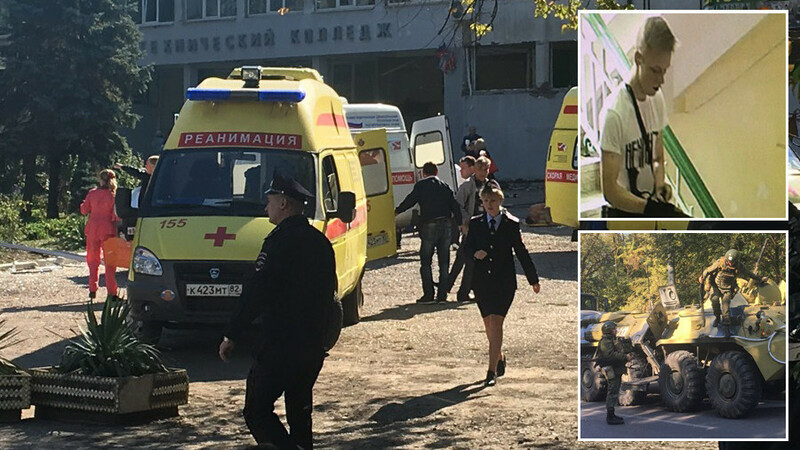 Kerch Polytechnic College’s director said multiple gunmen shot students and teachers, dead and wounded bodies strewn throughout the area attacked. Russian authorities initially called the incident a terrorist attack, later changing it to multiple homicides. If a number of masked gunmen were involved as eyewitnesses and the college’s director claim, clearly the initial classification was accurate. Russian investigators will likely determine accountability for what happened. It’s unknown if it was a Kiev provocation. Ukrainian forces increased attacks on Donbass in recent days, likely orchestrated by Washington. Is the Crimean incident connected to Kiev aggression? Featured image is from Sputniknews.